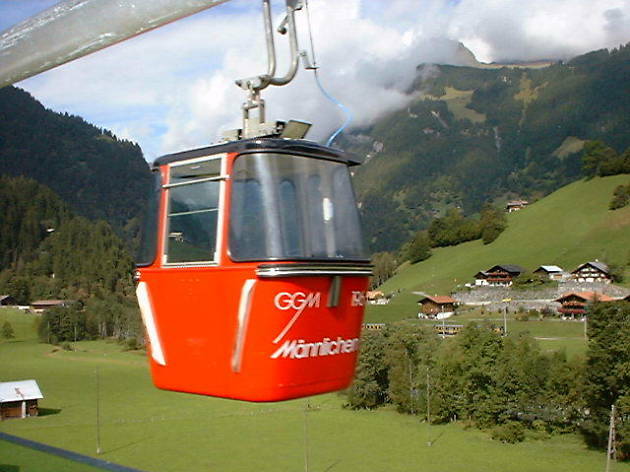 Linking Grindelwald-Grund with the Männlichen summit, the Grindelwald-Männlichen Gondola Cableway is one of the longest cable-car rides in the world. It is no mean feat of engineering that can overcome more than six kilometres and 1,000 metres’ altitude within 30 minutes. 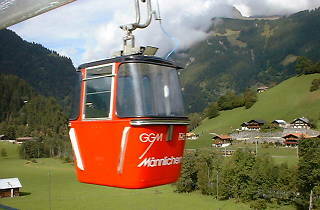 But that is just what the Grindelwald-Männlichen Gondola Cableway does as it shuttles up 900 passengers per hour. Opened in 1978 to carry skiers from the village of Grindelwald-Grund at 943 meters above sea level up to the 2,230-metre Männlichen, it is still one of the longest cable car rides in the world. It’s not such a terribly scary ride, though, as the maximum gradient is a gentle 55 per cent.